Ms. Holmes was born in Livingston, NJ, but raised in Wilmington, NC. She began her first classes of ballet and tap at Dance Elite at age 6. At age 8, she began her formal training of ballet at the Wilmington School of Ballet after attending a week long outreach program with the school. She studied there on full scholarship from 2000-2007 under the directorship of Elizabeth Hester. 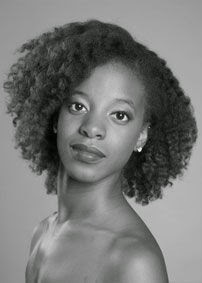 Ms. Holmes attended summer programs such as North Carolina School of the Arts, School of American Ballet, Chautauqua Dancing Festival, Kirov Academy of Ballet, and Joffrey Academy’s International Summer Dance Intensive. She was accepted into the HARID Conservatory on a full tuition scholarship in 2007 and graduated in 2010.